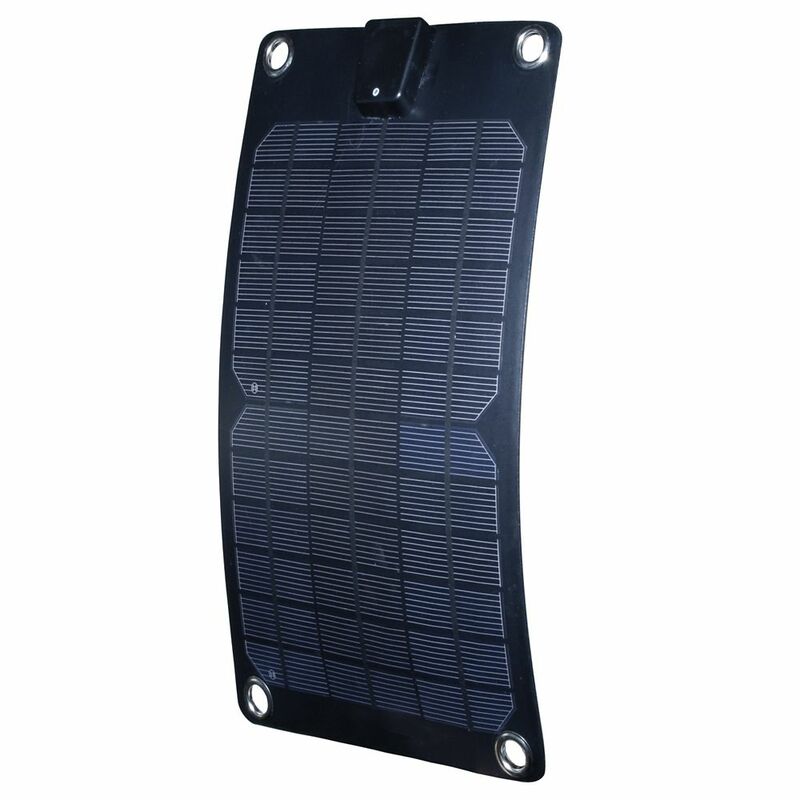 5-Watt Semi-Flex Monocrystalline Solar Panel for 12-Volt Charging Wafer thin, lightweight, and can mould to a curved surface. These Semi-Flexible Solar Panels are made of the high efficiency mono-crystalline solar cells and strong enough to be walked on. Semi-flexible panels are weather, water and corrosion resistant making them a perfect option for marine applications, RVs, camping and emergency back-up These panels can continuously recharge your 12-Volt batteries with the power of the sun. Light enough to mount on a window with suction cups, and durable enough to mount permanently outdoors on a range of vehicles. 5-Watt Semi-Flex Monocrystalline Solar Panel for 12-Volt Charging is rated 4.8 out of 5 by 4. Rated 5 out of 5 by Honeywood from Great idea! Already using solar panels for our home, this little panel makes great sense for our camper. So far it has kept the battery powered even though we have not had the panel for very long. Rated 5 out of 5 by RIC from It Works This 5 watt Semi-Flexible Solar Module does charge my 10 ah Power Sport Battery, with ease. I plug in the cigarette adapter (connector) and forget about it....Keeps the battery charged without over charging.